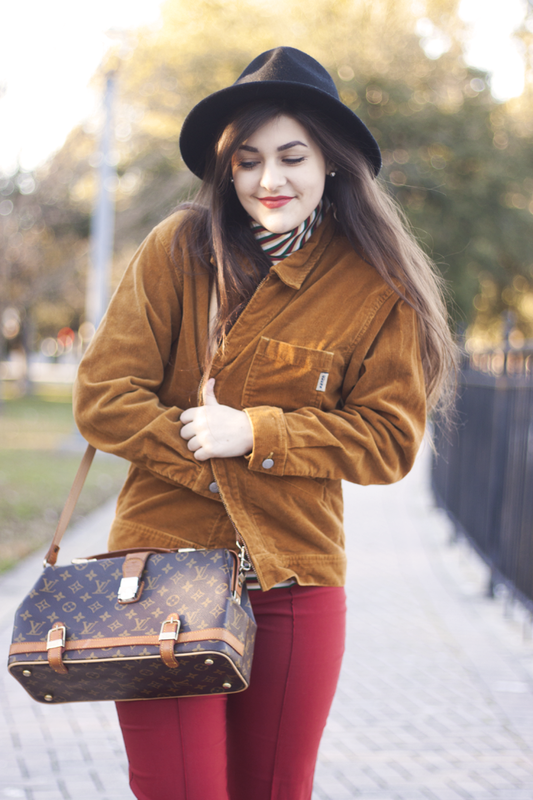 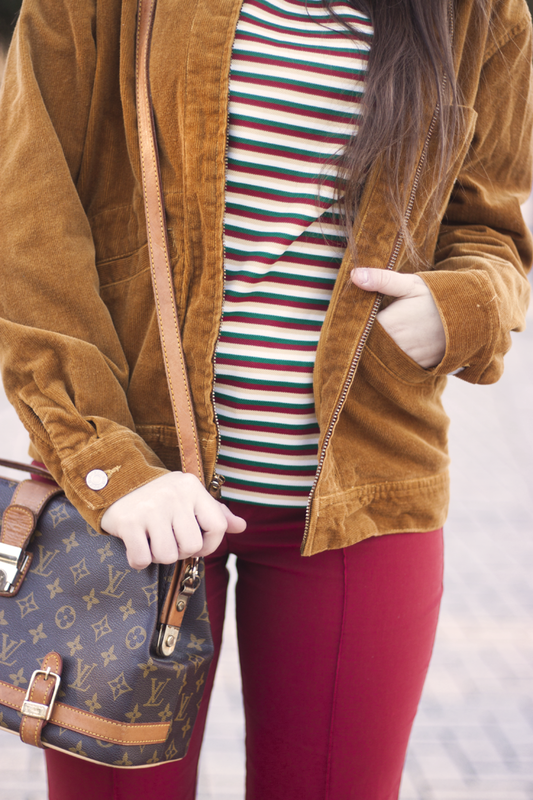 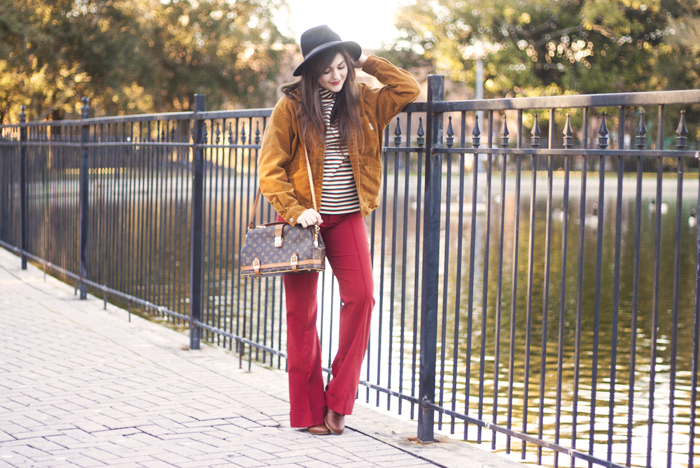 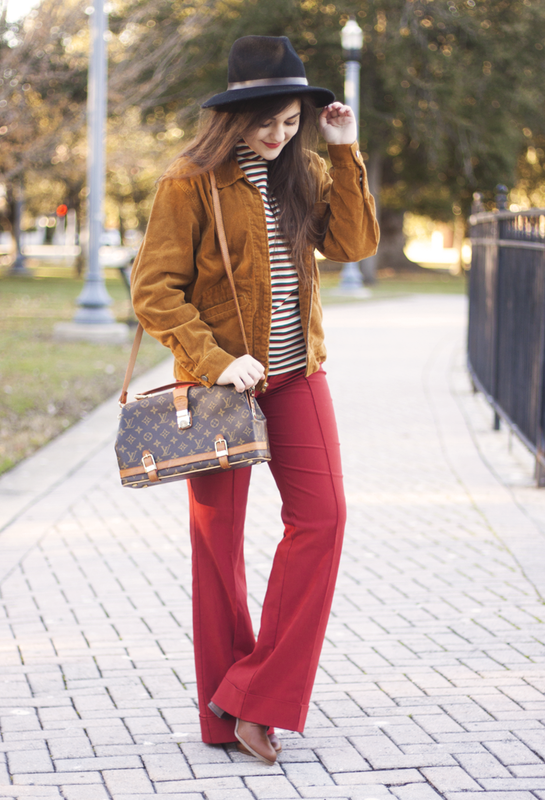 Wearing: Vintage Guess jacket, Vintage 70s top, Thrifted pants, Steve Madden booties, Vintage 70s Louis Vuitton bag, F21 hat. 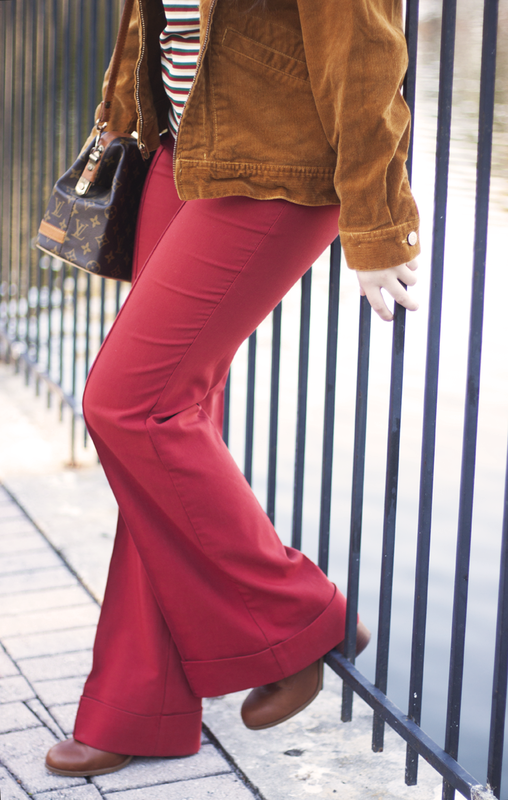 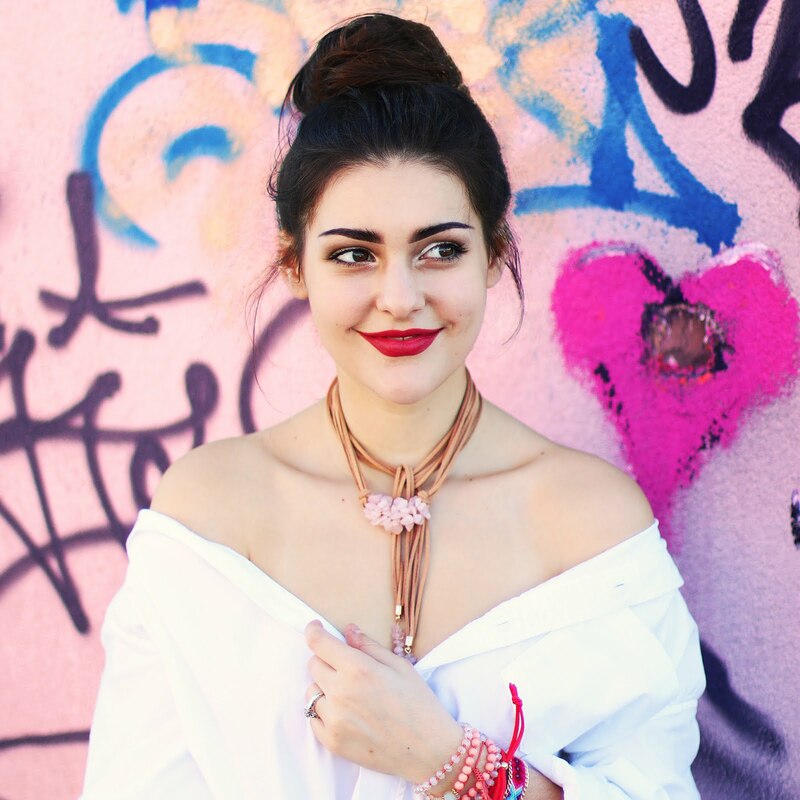 This is such a great look on you- I love the 70s vibe. 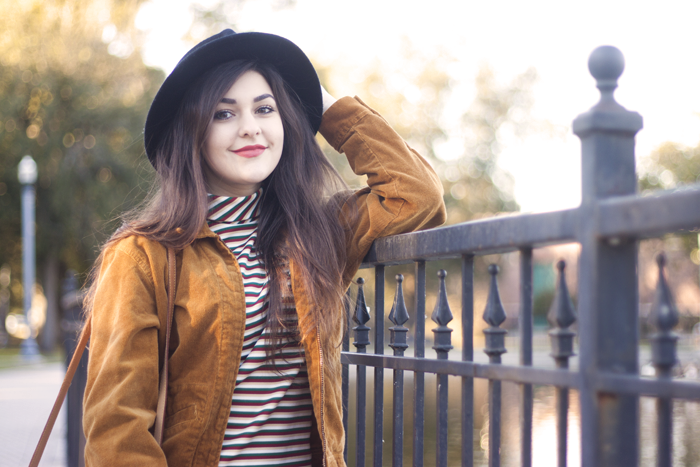 And your hair is gorgeous!